Forget about traditional slot machines. This game offers you classic gameplay in an exciting modern shell. 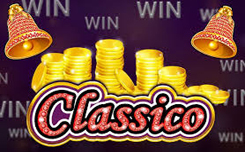 Classico is a slot with 5 reels, 3 rows, 20 winning lines. To receive payment, you need to catch at least 3 characters in one of the lines. Here you will find unique symbols that combine the rectangles ‘BAR’ and various fruits. It’s very easy to play this slot, you just need to press the spin button. Make a bet is also not difficult, because all buttons are conveniently located on the screen. Wild will replace all other symbols except Scatter, which will greatly simplify the compilation of winning combinations. In addition, the game has a function of autospin, which can speed up the gameplay. You just need to set the number of rotations, and everything else will be done by the slot itself. The Scatter symbol represented by the bell is the best in this slot. 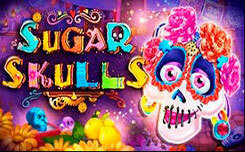 He will bring you big winnings, and also activate free spins if at least three such symbols appear on the reels.